The major causes of death in America, such as cardiovascular disease and cancer , are greatly related to lifestyle, behavior, education, and prevention efforts are best focused on physical activity and diet . School-age children often have poor diets, making this a critical area for CSHPs to focus on. Few students are meeting the Dietary Guidelines for Americans. Their diets generally lack fruit and vegetables and contain an excess of foods that are high in fat . Childhood obesity has reached epidemic proportions, with greater numbers of people becoming affected earlier in their lives. This is an important issue for school health programs, since it has been well documented that the health of school-age children is directly related to their educational success. 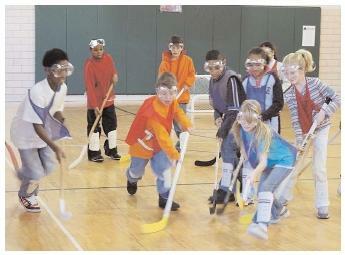 Physical education is one component of the Comprehensive School Health Program. The benefits of regular physical activity are numerous, and include enhanced bone, joint, and muscle fitness, weight control, and stress relief. The CSHP encourages all schools to address their students' health on various levels. The program's mission is to promote wellness , motivate health improvement, and offer educational opportunities for students, families, and community members. By implementing the planned, ongoing services of the CSHP, schools have the ability to improve both education and the health of students and school personnel. SEE ALSO American School Health Association ; School-Age Children, Diet of .